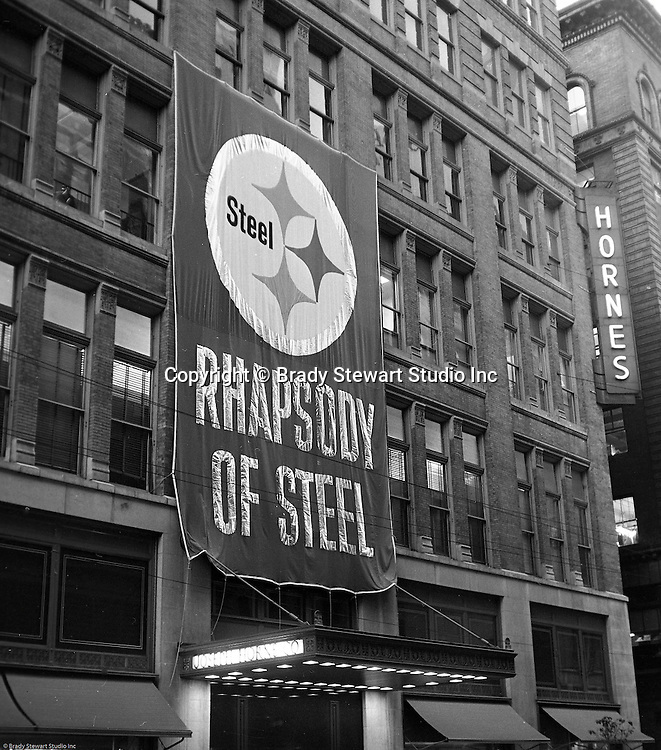 Pittsburgh PA: View of the Christmas promotion at Horne's department store in downtown Pittsburgh - 1962. US Steel launched an awareness campaign of all the current uses of steel in everyday products. During this time, ALCOA Aluminum Company of America also headquartered in Pittsburgh, was aggressively competing to enter markets where US steel companies traditional dominated market share. Examples included beer and food Cans, appliances, automobile parts, children toys / bicycles, and more.